China has changed the way it talks about its actions in the South China Sea, signalling a shift in the way it thinks. China has indisputable sovereignty over Nansha [Spratly] Islands including Chigua Reef [Johnson South Reef] and the contiguous waters. Whatever construction China carries out in the Chigua Reef is completely within China’s sovereignty. Over the last four months, however, we’ve seen a major change in the way China talks about its activities in the South China Sea – first a clarification of the purposes of the construction, then an announcement that land reclamation will soon be coming to a halt. As others have pointed out, China’s change in rhetoric does not accompany a change in behavior – it still plans to finish all its previously-started construction, for example. Nonetheless, the shift in tone is important. This shift signals that China realizes the damage being done to its soft power in the region by sticking to a because-I-said-so attitude (ie, our construction is “lawful, reasonable, and justifiable” simply because we said so). In its new statements, China is actively trying to convince listeners (most prominently, the governments of ASEAN countries and the United States) that it does not pose a threat – clear proof that Beijing does, indeed, care about its image. The change began on April 9, when, for the first time, Hua (speaking for China’s Foreign Ministry) provided a detailed explanation of the purposes for China’s construction on disputed islands. In her remarks, Hua framed the construction as an example of China upholding its “international responsibility and obligation” by providing new facilities to assist with “maritime search and rescue, disaster prevention and mitigation, marine science and research, meteorological observation, environmental protection, navigation safety, fishery production service and other areas.” Beijing wants to flip accusations of irresponsibility on their head, arguing that China (as the region’s major power) has not only the right but the responsibility to construct facilities in the South China Sea. In later comments, Beijing expanded on this by suggesting that other countries would also be welcome to use the new outposts. The National Development and Reform Commission (NDRC) released a statement outlining its plan for the South China Sea reefs, including the construction of “large-scale lighthouses”; wireless navigation facilities; base stations for maritime security and communications; emergency rescue stations; moorings for fishermen to shelter from storms or replenish supplies; and weather stations, oceanic observation platforms, and scientific research centers. Very true, but the change in message is important nonetheless. Compared to a year – or even four months – ago, China’s rhetoric on the South China Sea issue is almost unrecognizable. Instead of beginning and ending the conversation with proclamations of China’s “indisputable” sovereign rights, we’re seeing a genuine attempt at putting some China-friendly ‘spin’on these construction projects. That these new proclamations are unlikely to convince China’s critics is beside the point. The attempt itself is new, and noteworthy in the sense that it signals a level of recognition of how China’s actions appear through other’s eyes. The shift in messaging may be the first stage in this adjustment. As my colleague Prashanth has noted before, China’s South China Sea strategy involves both asserting sovereignty in the region and maintaining adequately friendly ties with rival claimants, largely based on economic relations. As China itself put it in its military strategy white paper, Beijing must strike a balance between “rights protection” (defending China’s claims) and “stability maintenance” (making sure tensions in the region do not get out of hand). China’s “Belt and Road” project was announced in fall of 2013, during a larger ‘charm offensive’ that accompanied Xi Jinping’s tour of Southeast Asia. But the fruit of that labor (including the Belt and Road) withered away during the tensions of 2014 and 2015. The policy fell out of balance, tipping too far toward the side of “right protection” at the expense of “stability maintenance.” China seems to have woken up to that fact and is adjusting its messaging accordingly. There are limits to this shift, of course — most notably that China has changed rhetoric but not behavior. Beijing has repeatedly stated it will not give up an inch of its territory, including the nine-dash line in the South China Sea; that policy will remain the bedrock of its maneuvering in the disputed area. 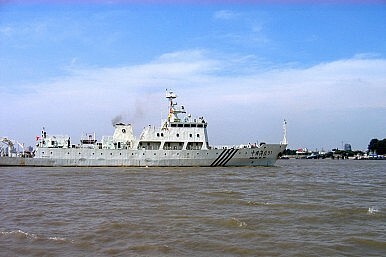 In addition, though Beijing has provided a lengthy list of civilian functions for the island outposts, it has not been similarly upfront about its plans for militarizing the islands, although officials have confirmed that the new facilities will be used for defensive purposes, including “better safeguarding territorial sovereignty.” That means the area that most concerns other claimants – newly militarized Chinese outposts in the South China Sea – remains a black box.